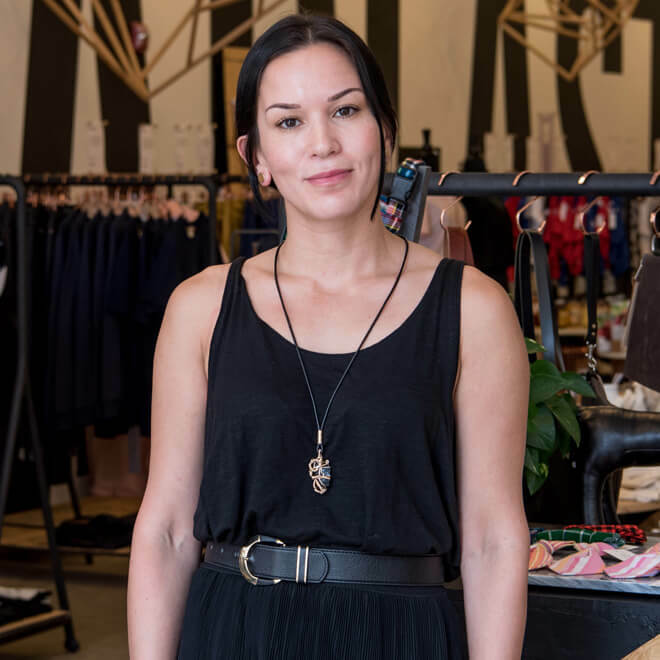 Virginia founded Steadfast Supply, a conceptual retail store that serves as an incubator to independent designers and brands, inspiring them to grow and thrive. In addition to creating Steadfast Supply, DeNada is a contemporary knit apparel and accessories brand for women and men. Virginia’s creative talent and technical skills were duly recognized through several awards including the Sadat Art for Peace Award, delivered by Nelson Mandela, and first prize in Viridian Artists, Inc. National Competition juried by the late Robert Rosenblum, curator at the Guggenheim Museum in NYC. Virginia Arrisueño currently lives in Washington, DC with her best friend and husband, artist Kelly Towles, their son, and their dog Kobi.